It has long been known that practitioners, witches, warlocks, sorcerers, sages do not work alone - they are always accompanied by spirits. But what spirits? Learn it yourself with our spells! These spells will provide you with a great strong connection with the Familiar Spirits and will help you find understanding. You no longer have to spend your valuable time searching for truly effective spells, they are all collected in this section of our store. A wide range of spells is available for different spirits: for those spirits who help healers, and for spirits assistants to dark witches. Also, you can find special bindings for your home pets. Sounds weird? It is not surprising because pets have their own magic power, which helps them protect the house they live in, and also interact with the various beings from the other worlds that inhabit your home. 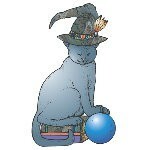 Use these spells, and your home pet will be for you not only a cat or dog, but also a friend and a guide to the mysterious world of magic. Familiars are the supportive companions of those who practice magick. You don't have to be a great sorcerer, or a great witch, to have a Familiar. They are friend, and guide, to their Keeper. This binding creates the Familiar bond between you, and your pet. If you have more than one pet, we recommend only doing this to one pet in the home, the pet of your choice. It creates a strong, intuitive bond between the two of you, and when you work with magick, your pet will be able to influence, and support you with that magick as well. A Spirit Familiar is a spirit that provides assistance, guidance, insight & companionship to someone who practices or lives within the world of magick and the paranormal. This is a custom conjuration of a Familiar for you. 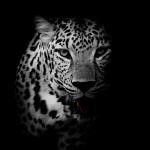 This Familiar spirit's name is Ahzim (Ah-zeem). He manifests as a spiky-scaled viper snake with ice-blue eyes and a long body. He is a whimsical and funny companion who will give you encouragement with your magical abilities and learning how to work with spells. He is dark, intimidating, fearless, and loves to immerse himself in all kinds of magic. He is a visionary for creating new magic and new spells, and opening your mind to learning new forms of magic. He communicates well through visions and dreams. This Familiar spirit's name is Allyr (Ah-leer), he manifests mostly as medium-sized dogs, but he also manifests as larger birds like parrots or hawks, and he likes to manifest as a shrew. He is quite the character with big ideas and a big personality. He is dark, intimidating, fearless, and he will surround you with manner of power, influence, and strength with magic. He is creative and will give you encouragement in achieving more with the Dark Arts in your life. This Familiar spirit's name is Amboro. He usually manifests as a gharial. He is deeply rooted in the powers of the Earth and will bring you closer to the organic and core energies of Elemental and raw magick. He enjoys the scent of lavender and exotic floral scents. He believes in loyalty and respecting the honor of tradition. He is inspiring and unyielding when it comes to the explosion of power. This Familiar spirit's name is Celca (Sell-kah). 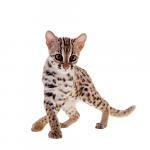 She manifests as a leopard cat with big spots and gold eyes. She is a gentle healer who brings positive energy and happiness to your life. She is expressive, supportive, outgoing, and helpful when it comes to learning and working with magic. She brings you joy, love, compassion, and enlightenment with magical energy. She communicates well through visions and dreams. This Familiar spirit's name is Despos (Dehz-pohz). He is a lively friend who appears as a large grasshopper. He has a true sense of loyalty & tradition, having been a Familiar friend to multiple sages in his time. He is a direct and honest companion who will give you his honest thoughts on all things related to your journey. He speaks openly and wisely on subjects of magic, and he offers you support and insight into how to use magic to further your personal goals and needs. He will help you get in touch with your higher consciousness, and appreciate a connection between the light & mystic aspects of self. He communicates well through visions and telepathy. This Familiar spirit's name is Dinnok (Din-ok). He will manifest in any form he pleases; he especially like small birds and small animals. Despite his small size, he can truly pact a punch. He will fulfill your wishes & desires without asking for any favors in return. He doesn’t take no for an answer when it comes to work and he can really keep you on your toes where it is needed. As a friend he will be inspirational and dispense wisdom. He will enhance your magickal abilities and refine your work in mancy. He will share his knowledge with you and work with you through the learning & work with your pace. He communicates well through visions and dreams. This Familiar spirit's name is Dysi (Dye-zee). She manifests as a small mouse and she can appear as a red hue with orange halo of light. She is gentle-hearted, inspiring with magic and learning to write your own spells, and she will give you the encouragement you need to pursue more personal goals with magic. She is talkative, social, funny, brilliant, and will give you light to further your personal desires and goals. She communicates well through visions and dreams. This Familiar spirit's name is Edentoshi. She is an adorable, and sassy, Familiar who appears in the form of a black bear cub. She was last familiar to a healer who worked with potions and poultices to provide comfort to those who sought her help. Edentoshi is a very expressive and outgoing companion who will never fear to offer her thoughts and suggestions for your life. She is a very intense and powerful friend who wants to see you expand your abilities and open new doors in your journey for using magic to further your goals and desires. She is a social and funny friend whose observations are always interesting. She communicates well through telepathy and dreams. This Familiar spirit's name is Elvoka. She manifests as a pangolin and was last companion to a witch of many talents. She is a devoted, loyal and generous friend who will help you discover the genres of magic and types of mysticism you wish to work with. She is a lively and exciting companion who will reveal ways for you to work with mysticism and magic. She is a friendly and generous guide who will help you discover a sense of pride in your work, and want to invest in your knowledge and evolution in magic. She communicates well through visions and telepathy. This Familiar spirit's name is Hoble (Hoh-bool). He manifests as a scarab bettle and is a loyal, wise, and considerate friend who will help you work with magic, mysticism, rituals, and spells. He is a considerate guide and friend who helps you work with the paths & types of magic that are essential for you to obtain a personal connection to mysticism and magic. He is a gifted and powerful friend who will help you discover the power you want to achieve in working with spells and magic. He communicates well through visions, telepathy,and dreams. This Familiar spirit's name is Kasion. He manifests as a tri-color guinea pig who was last companion to a Healer in the AD 4th century. He is an animated and active friend who will give you advice and support when it comes to working with magic and spells. He enjoys being helpful and offering you the support you need when it comes to magic. He is a lively and active guide who wants you to sense and feel magic through cleansing, healing, and restorative channels of magic. He communicates well through telepathy and visions. This Familiar is Recedo (Reh-say-doh). She manifests as many different animals, and she likes the power of variety. She is a mystical guide and companion who will help you determine a path of empowerment and strength when it comes to magic. She is lively, warm, inspiring, helpful, and will give you encouragement to work with all facets of magic. She was last companion to a sorcerer, and she is a gifted and helpful friend for your journey. This Familiar spirit's name is Reol (Ray-ohl). She manifests as a white leopard and she is a lovable, warm, and considerate friend who will help you work with cleansing and restorative magic. She is a jovial, bright, caring, and thoughtful friend who will give you encouragement when it comes to working with more extensive forms of power. She communicates well through visions and telepathy. This Familiar spirit's name is Sero. He manifests as a bald eagle and he is quick to help you when it comes to developing your healing and restorative skills within magic. He will give you strength when it comes to magic and learning to appreciate the abilities of cleansing, restoration, and grace. He communicates well through visions, dreams, and telepathy. He is quick to give you support in your natural gifts, and help you make new gifts to enhance your life. This Familiar spirit's name is Sharom. He usually manifests as a small marmoset. He is quick, intelligent, fearless, and will show you how to work with magic and mystic arts. He was last companion to a Dark Witch who worked with some of the darker spectrum in magic and rituals. He was an avid alchemist and Sharom can help you discover opportunities for transformative magic and the elevation of power in your journey. He is clever, quick to help you, and loves to engage in your supernatural abilities. He communicates well through visions, telepathy, and dreams. This Familiar spirit's name is Vaden, he manifests as various animals and usually takes on a form that matches the task at hand. He is quite animated, talkative, and likes to be in the middle of anything going on around him. He likes to show off and be involved in everything. He is quite engaging, funny, and will help other spirits feel a part of your mystical energy. He will show you how to work with your supernatural talents and use them to to reach all of your goals. He communicates well through visions and telepathy. He will be a leader to your other spirits and help you stay focused on what you want to achieve. This Familiar spirit is Varzan. He will manifest in any form he desires; he usually appears as a small grey cat, or a large green toad. He is quick to tell you what he wants and make sure you understand the principles and foundation of dark magic. He will help you be more connected with the path of the Dark Arts. He communicates well through telepathy, dreams, and visions. This Familiar spirit is named Zis. He usually manifests as a small, brown & white puppy. He is a sweet and nurturing companion who will help you work with spells & magic. He provides you wisdom and guidance when it comes to using magic to further your goals. He is talkative, loves to participate, and will give you advice when it comes to reaching new levels of magical talent. He is inspiring, thoughtful, creative, and will drive you to use magic in new ways. He communicates well through visions, telepathy, and dreams.